There are the strongest heavy duty ratchet straps at Welldo. Heavy duty ratchet straps offer both versatility and strength, with a wide-designed hook, and a defender added at the slot to provide resistance to abrasions on the webbing. Made from ultra soft, high tech webbing, heavy duty ratchet straps won't scratch paint or chrome of your finishes. They are easy to use, the ratchet handle grip Is ergonomic, including convenient release lever. All seams and connections of heavy duty ratchet straps are reinforced using special stitching system for extra strength and security. This provides up to 900% more reinforcement than typical other tie down straps. Now you can protect your loads by using these strongest heavy duty ratchet straps at Welldo. These premium quality heavy duty ratchet straps are 100% satisfaction guaranteed. All of our heavy duty ratchet straps are manufactured with limited load and break strength. 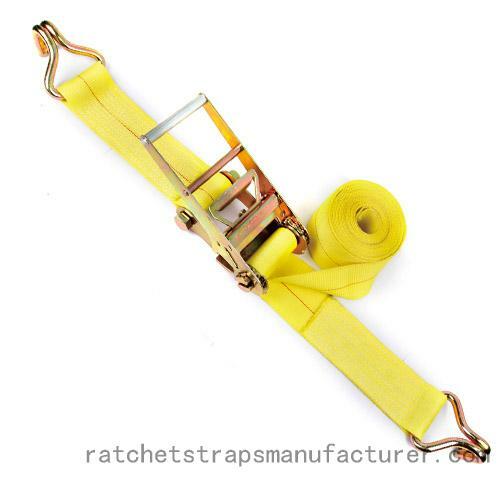 If you need custom heavy duty ratchet straps, contact to our sales: info@ratchetstrapsmanufacturer.com.